TERMS AND CONDITIONS * All sales are final, when awarded to the successful bidder. * The winning bidder has effected a contract agreeing to our terms and conditions and is expected to pay for item. INSPECTION: * Physical inspection is encouraged and available Monday-Friday 9am - 5pm MST. * Buyer shall rely entirely on their own inspection and information. * We have provided equipment information to best of our knowledge. * We have provided photos and videos to assist buyers in making informed decisions. * Please contact us for any additional information about the item. PAYMENT: * Please contact Larry Otten Auctioneers within 24hrs to confirm payment method to be used. 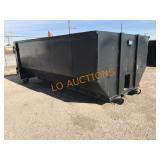 * All payments are in non-negotiable U.S. funds and due in full within 3 business days of auction close. * We will send and invoice at conclusion of auction to the successful bidder's email registered with AuctionTime. * Bank Wire Transfers, Company Checks, and most Credit Cards accepted ($5,000max + 3% creditcard convenience fee). * Wire Transfers incur a $15 fee. * Buyer agrees to pay Texas State Sale Tax of 8.25% unless buyer provides proper exemption documentation. * No equipment will be released for pickup until full payment has been received. * Buyer agrees to pay a $55.00 Title fee on all titled vehicles. Titles to be mailed to the purchaser within 15 business days after settlement. * No titles will be provided if items says "No Title". * All title are in buyers name, No open titles will be given. 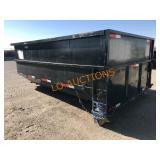 PICKUP AND REMOVAL: * Buyer is responsible for all shipping and pickup of equipment. * Loading is available Monday - Friday 9am-5pm MST. 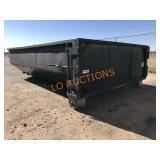 * Larry Otten Auctioneers is not responsible for loading of equipment or the securing of any load. 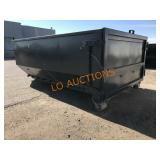 * Larry Otten Auctioneers is not responsible for verifying the equipment being transported from the auction yard is properly secured or being carried in compliance with applicable transportation laws and regulations. * Larry Otten Auctioneers will not load self-propelled equipment under any circumstances. * Larry Otten Auctioneers, may (under the direction of the driver) help load stationary equipment from a truck, trailer or container, when a forklift is required. * Loading and unloading of equipment is only permitted during daylight hours. * Access to and from the auction yard is only permitted through the designated truck entrance. * Item(s) must be removed within 30 days of conclusion of the auction. * After 30 days any purchased item(s) not removed will be deemed abandoned and be resold, unless storage arrangements have been made with Larry Otten Auctioneers. SHIPPING: * We can arrange to ship small items via USPS or UPS to addresses in the USA ( lower 48 states only), please tell us your preference or we will choose the least expensive for you. * We can arrange to ship larger items via LTL Frieght to addresses in the USA ( lower 48 states only), please tell us your preference or we will choose the least expensive for you. We will need to know if it is residential or commercial address and if a loading dock or forklift is available to unload. * The shipping charges will be added to invoice due, or will be billed seperately afterwards. * If items need to be packaged for shipping; buyer and seller will negotiate seller's compensation. * There is a $4.95 administrative fee per lot to ship via USPS/UPS. * There is a $25 fee to arrange for shipping via all other freight. * There is a $4.95 fee per pallet when needed to ship. * Pickup is Free. * All items are sold "AS-IS, WHERE IS", no warranties or guarantees written or verbal, expressed or implied as to genuineness, authenticity of, or defect in any lot and will not be held responsible for advertising discrepancies or inaccuracies. All items are listed as accurately as possible. * Larry Otten Auctioneers reserve the right to update, or make changes to, our "terms and conditions" without prior notice.